Founded in 1876 along the east coast of Queensland, Australia, Cairns has become a popular tourist destination due to its proximity to The Great Barrier Reef and the Atherton Tableland. Aside from a flourishing tourism industry, this cosmopolitan city is also supported by a large agricultural trade. Natural attractions and thrilling adventure sports attract large crowds every year. Cheap flights to Cairns are now available for a limited time only, so book your flight today and experience the exhilarating adventures and stunning natural attractions this city has to offer! Cairns is home to Cairns International Airport (CNS), a 10 minute drive from the city centre. Cairns boasts a plethora of natural attractions both in and outside the city. 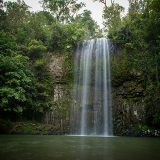 Snorkel off Green Island or take a hike through the Daintree Rainforest. View the spectacular sights from the Skyrail Cableway or along the Kuranda Scenic Railway! Adrenaline-junkies will have a blast with so many thrilling activities on offer year-round! 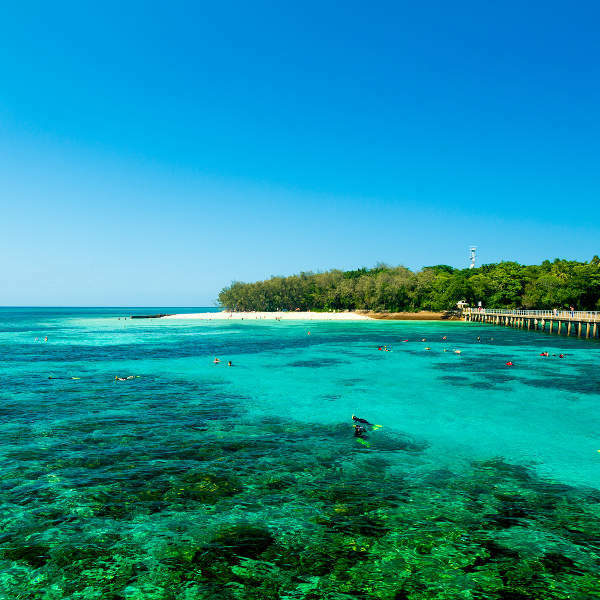 Explore the magnificent Great Barrier Reef, bungy-jump in the rainforests, test your limits with skydiving and enjoy the views from above in a hot-air balloon. 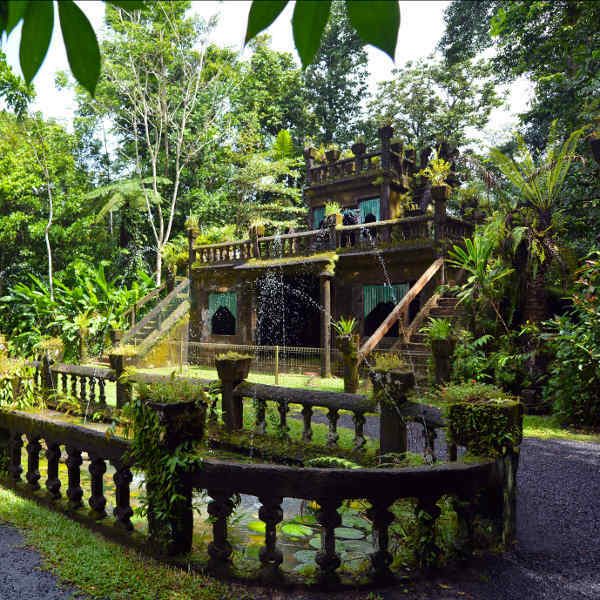 Take a break from the city and picnic at the castles in Paronella Park after swimming in Josephine Falls. The Esplanade Boardwalk is perfect for little explorers with playgrounds and swimming pools galore! Cairns experiences two distinct climates – hot, humid summers (occurring between October and March) and rainy winters (between April and September). Peak tourist season takes place in winter, particularly between July and August. The “Green Season”, from December to April, is an ideal time to visit because of fewer crowds and great specials on flights, accommodation and tour packages! Although this is the low season, it is advisable to book accommodation a month in advance to secure the best beach spots. The temperatures are moderately warm during the “green season” and rainforest tours are optimal due to all the lush vegetation. The clear waters and gentle winds also make it a great time for exploring the Great Barrier Reef! Avoid the city between November and May when cyclones often make an appearance. Stay informed of weather conditions during this time. Situated in the north of Queensland, Australia, Cairns was originally established to serve miners on their way to the Hodgkinson River goldfield, and was later developed into a major trading port for gold and sugarcane. Cairns is a nature-lover’s paradise with exotic rainforests, gardens and crystal-clear lagoons. 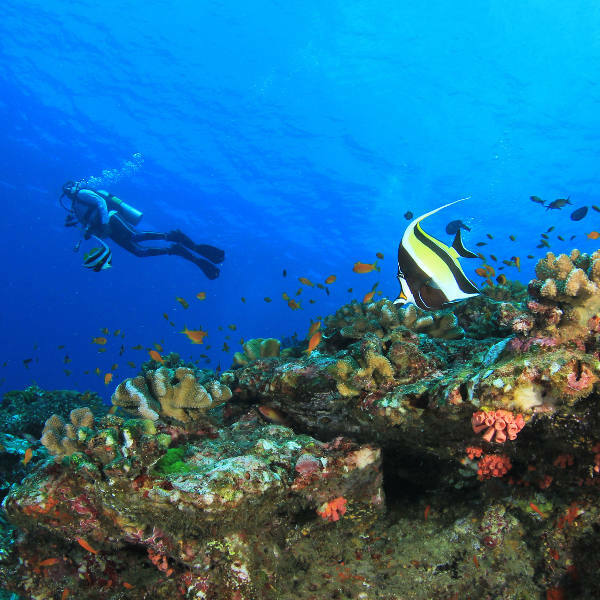 Due to its proximity to the Great Barrier Reef, it is a popular tourist destination for both novice and professional divers. The beautiful waterfalls and pools of Crystal Cascades are great for swimming. The Kuranda Scenic Railway offers an alternative way of viewing the rainforest, as does the Skyrail Rainforest Cableway, which allows you to soar high above the canopy. A day trip to Green Island will afford you the opportunity to spend several hours in a tropical paradise. 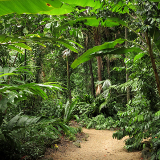 The beautiful tropical Flecker Botanical Gardens houses the Gondwanan Evolutionary Trail, which traces the 415-million-year history of tropical plants. 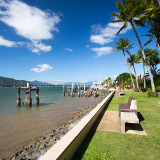 The Cairns Esplanade features a large salt-water swimming lagoon, bringing the beach into the heart of the city. The promenade is great for walking, rollerblading and cycling, and is home to several shops and restaurants staying open till late. With fresh seafood, specially-crafted beer and a medley of international bars and restaurants, you’ll never have a dull moment in this vibrant, action-packed city! Compare several airlines, and book your cheap flights to Cairns online at Travelstart. Cairns, like much of Australia, is a very safe city with very little crime occurring amongst locals and tourists. Take the usual precautions of being vigilant with personal belongings, especially around clubs and bars late at night. There are no mandatory vaccinations required for entry into Australia, but make sure you have a strong insect repellent to fend off mosquitoes and pesky insects. If you are planning any off-road adventures, it is best to plan your trip well and have a reputable knowledge of the wilderness, or join a tour group as road conditions may not be optimal due to flooding over the wet season. Keep in mind that rental agencies have certain limitations regarding where the vehicle may be driven, so please check ahead of time. When swimming at the beach, be aware of marine stingers (or jellyfish). You should only swim in designated swimming areas during the months of May to November when these animals are rife. Lycra wetsuits can be rented at the beach for extra protection. Be mindful of crocodiles and snakes when out in swampy areas and hiking trails. Pay attention to the signboards and remember that these animals have right of way. Should you need emergency assistance, dial 000 from any landline. Despite being a relatively small city, Cairns has a wide range of accommodation options to suit your taste and budget! The city centre is known to be a backpacker’s haven with many backpacker hostels scattered around town. Most hostels offer free Wi-Fi and a swimming pool! Despite not having a beach, Cairns does have a port and marina, home to many 4-star and 5-star hotels. Many tourists opt to stay here because of the stunning sea views. A little further north, Port Douglas is a popular hotspot for accommodation as it provides wonderful reefs for water activities. Embrace your wild side and live among the trees and koalas! Rainforest accommodation is becoming a popular trend, with many forests to choose from situated around the city. Escape the buzz of town and relax in one of the eco-lodges. Boating enthusiasts can choose to stay on a boat for a few days while exploring the world-famous Great Barrier Reef. Whether you’re a novice of seasoned pro, you’ll never miss a dive with this unique opportunity! The centre of Cairns is small enough to be traversed on foot. You could also rent a bicycle and cycle along the esplanade and to nearby attractions. Efficient Sunbus buses operate between the city centre to nearby suburbs and the Northern Beaches. Day passes are available with the last bus leaving for the city at 11pm. If you opt to drive, instead of joining a tour, hiring a car is a good option to see the attractions outside of the city. Car rental agencies are available at the airport and around town.